Emerald and pear cut cubic zirconia centre stones surrounded by pave set clear cubic zirconia stones which create these captivating earrings. Earring size 32x12mm with butterfly fastenings. 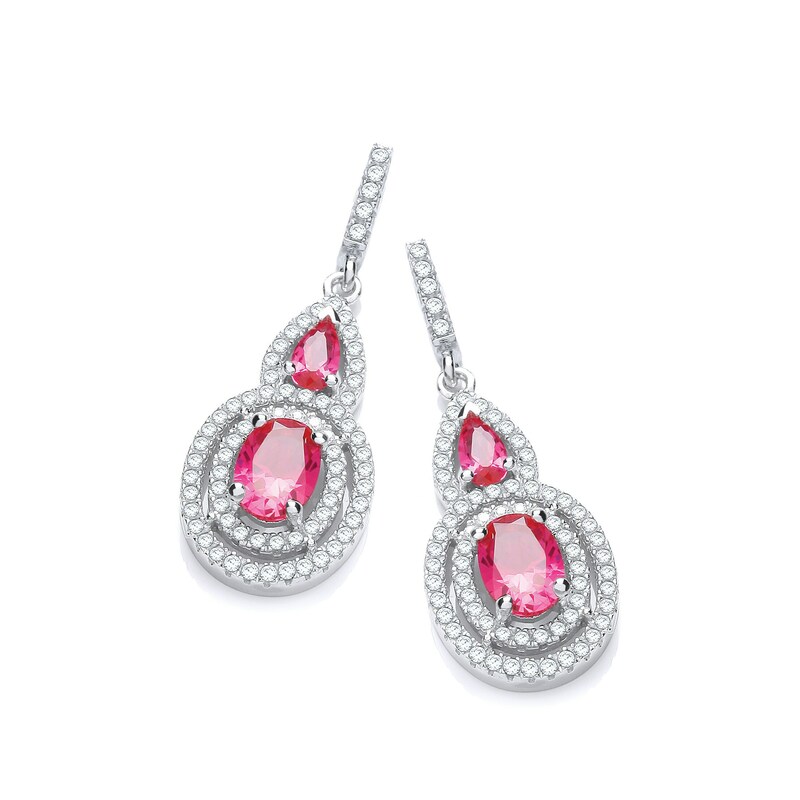 Crafted from rhodium plated 925 sterling silver and set with high quality cubic zirconia stones. 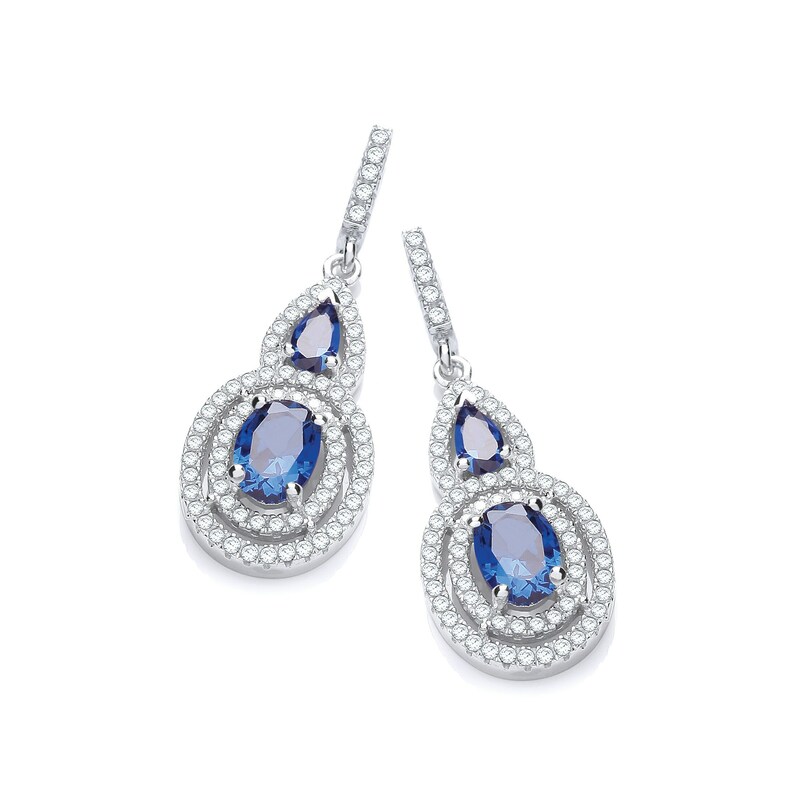 Choose from ruby red or sapphire blue.